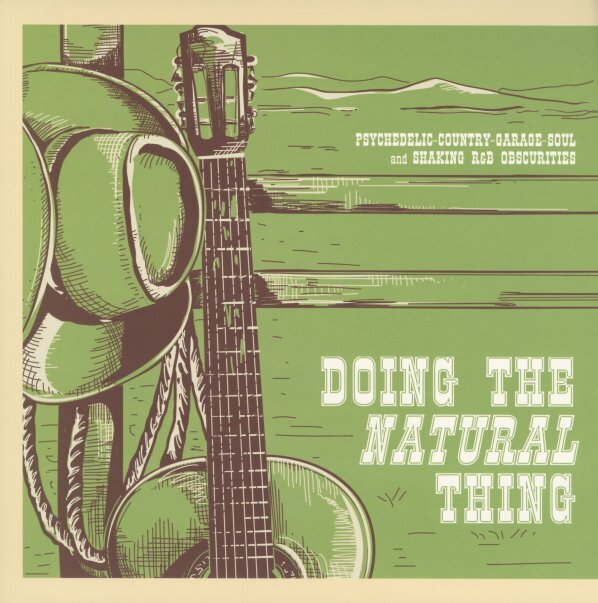 Funky country, twangy soul, and lots more strangeness – a set that definitely lives up to everything it promises on the cover – and maybe even gives you a bit more too! The collection's from the same folks who gave us the excellent Funky Country series – and there's a very similar vibe going on here – music that's maybe got the sharp punch of late 60s swamp rock, but more funky elements at the core – and often some of the weirdness in production and instrumental styles that you might have found over at the Shelby Singleton studios. Titles include "Headman" by Obrey Wilson, "Doing The Natural Thing" by LA Jones, "Elvira" by Ansley Fleetwood & The Surprises, "I Wanna Know" by Gary Von, "Kiss Of Fire" by Leo Krokos, "Seasons" by Wayne Richards, "They Call It Soul" by Randall Gray, and "Crawdad Hole" by Denver Affair. © 1996-2019, Dusty Groove, Inc.